I see the role of commissioner as two-fold: One, to point Upper Dublin toward the future, and two, to solve constituents’ problems/issues and work with constituents to improve our community. Working together we have accomplished many things for the betterment of our community. Willow Manor residents found that the entrance to Willet Park needed a streetlight. Working together an additional streetlight was placed at the Park entrance providing ample light improving safety for the community. Parents of Jarrettown Elementary School walkers from Aidenn Lair notified me of the dangers posed by cars to students crossing Kenmare at Derry to the yellow posts of the path to the school and home at the end of the day. Working with the Upper Dublin Police Department and School District we were able to place a crossing guard at the corner of Kenmare and Derry. The walkers can now safely cross the street on their way to and from school. Working with parents to make it safer to drop off their children at Jarrettown Elementary School for early morning activities, the School Zone traffic lights were extended 15 minutes earlier in the morning from 7:45-8:00am. This has helped to keep our children safe and reduced traffic issues. Upper Dublin Township staff have been instrumental in acquiring $11.7 million in grant funding from 2016-2018. Moody's Investor Services upgraded Upper Dublin from Aa2 to Aa1. This is the second highest rating placing Upper Dublin in the top 10% of rated PA municipalities. The rating upgrade is the culmination of financial strategy and economic development directed by the Upper Dublin Township Board of Commissioners and implemented by strong management. The improved bond rating will enable the Township to achieve lower interest rates on future bond issues and long-term debt used to pay for capital improvement projects, potentially saving taxpayers thousands of dollars in reduced debt service payments. Moody’s cited Upper Dublin Township’s “high resident wealth and income, modest debt profile and strong, stable finances” in its rating analysis. New development in the community has helped to revitalize the Township, bringing in new residents and increasing tax revenue to support priorities like improving public safety, enhancing facilities, and the critical sidewalk connections. Additionally, the Township’s robust effort in improving the sustainability of the Fort Washington Office Park through the investment in infrastructure improvement, including two flood-retarding structures, has significantly increased the value of these properties. Addressed Contaminated Drinking Water Caused by the Willow Grove Naval Air Base. Supplying clean water for our residents is a top priority and will continue to be a top priority of the Upper Dublin Board of Commissioners. On April 15, 2019, the PA PFAS Action Team updated the community on the ongoing PFAS contamination. Upper Dublin residents spoke to the Action Team of our concerns. I brought to the Action Team's’ attention that Upper Dublin should be included in the up coming blood tests for PFAS levels in residents’ blood. Since 1956, I have lived most of my life in Upper Dublin and was diagnosed with Graves Disease, a thyroid disease, in 1993. There are many residents in Upper Dublin that have lived here for decades and want to know if they are at risk. Knowing that Aqua was compelled to take two Upper Dublin wells off line is indicative of the impact of PFAS levels in Upper Dublin and that Upper Dublin residents need to be tested in the ipcoming blood test and all future testing. On April 8, 2019 Senators Bob Casey and Tom Carper held a Discussion and Legislation announcement led by Representative Todd Stephens addressing PFAS contamination with local municipal representaties. I was fortunate to be a part of this discussion representing Upper Dublin. Senator Tom Carper has introduced a bill addressing PFAS contamination in our area and throughout the country. This bill has been co-sponsored by Senator Bob Casey and at least 30 other senators. This act declares PFAS as a hazardous material and that it should be included in the Superfund for clean up. The act goes on to demand that the EPA take action now! It also demands that the CDC, the EPA and, the DOD be more transparent and to accelerate their efforts to find a replacement fire fighting foam that does not contain hazardous materials. During this discussion, I brought attention to Upper Dublin’s unique situation with the PFAS problem. Not only is Upper Dublin down stream from the Willow Grove Naval Air Base but, it is unique in being served by three water suppliers, of which Upper Dublin has no say or even a seat at the table of these providers to eliminate PFAS from our community's water. Although we lack representation on these water suppliers’ governing boards, Upper Dublin has been able to fight to eliminate PFAS contamination for our residents. In July 2018, I made a motion that was unanimously passed by the Upper Dublin Board of Commissioners to request Aqua to lower the PFAS levels from the Aidenn Lair well or take the well off line. In August with the support of PA State Representatives Stephens and Murt, Aqua took the Aidenn Lair well off line to put filters on this well that will deliver non-detect levels of PFAS. The well is scheduled to go back on line in May. I also brought to the Senators’ attention that Upper Dublin should be included in the up coming blood tests for PFAS levels in residents’ blood. Since 1956, I have lived most of my life in Upper Dublin and was diagnosed with Graves Disease, a thyroid disease, in 1993. There are many residents in Upper Dublin that have lived here for decades and want to know if they are at risk. Knowing that Aqua was compelled to take two Upper Dublin wells off line is indicative of the impact of PFAS levels in Upper Dublin. I hope we can all work together to enlarge the scope of the blood level tests to include a wider area of testing as well as combine our efforts to eliminate the hazards of PFAS from our water supply. On September 22, 2016, I attended, along with Upper Dublin Township Manager Paul Leonard, the PFC Contamination of Drinking Water in Pennsylvania Discussion with Senator Casey, in the Russell Senate Office Building, Washington D.C. for a discussion on the PFC also known as PFAS contaminates in our local water supply attributed to the former Willow Grove Naval Air Base. In attendance: the Department of Defense, Environmental Protection Agency, Centers for Disease Control and Prevention, Warminster Township, Warminster Water Authority, Warrington Township, Horsham Township, Horsham Water and Sewer Authority, Congressman Brendan Boyle, and other elected officials. Senator Casey focused federal agencies and departments on this issue and provided a single contact on the federal level for direct access by local governments. The discussion brought local and federal officials together to streamline communication so that the federal agencies and local governments can work more collaboratively to solve the growing problem of PFCs (Perfluorinated Compounds) contaminating of our drinking water in Upper Dublin, Horsham, and Warminster. At the July 10, 2018 Board of Commissioners meeting I made a motion that was supported unanimously by the Board to direct Upper Dublin staff to contact AQUA to either lower the PFAS/PFCs levels of water coming from the Aidenn Lair well to non-detect or take the Aidenn Lair Well off line. In August State Representatives and Upper Dublin Township commissioners working together with AQUA, the Aidenn Lair Well was taken off-line. The well is being fitted with filters to supply non-detect levels of PFAS/PFCs in the water supply from the Aidenn Lair Well. Since all the water from AQUA wells are combined we still don't know if the water supplied to our homes will be non-detect since not all AQUA wells supply water at non-detect levels of PFAS/PFCs. We are continuing to pursue zero detect from all the wells. Also at the July 2018 stated meeting the Board of Commissioners unanimously passed a Resolution supporting PA House Bill 705 that would ensure all wells in Pennsylvania would supply drinking water at non-detect levels for PFAS/PFCs. The Board of Commissioners unanimously passed a Resolution opposing AQUA's rate increase and sent the Resolution to the PUC at the September 12, 2018 meeting. Along with my colleagues on the Upper Dublin BOC we established a Human Rights Commission empowered to protect LGBT citizens from discrimination in housing, employment and public accommodations in Upper Dublin because these protections are not provided by the State of Pennsylvania. The Board of Commissioners (BOC) passed a 0% Upper Dublin Township Tax Increase for 2017. Meeting all of our township expenses and providing first class services without raising taxes. We are “living within our means”. Keeping township taxes low while still providing the first class services Upper Dublin residents have come to expect will continue to be my priority. The Board of Commissioners (BOC) addressed the pension funding issue head on. Across the state the pension funds are not fully funded. Upper Dublin has taken steps to make sure our pension fund for our uniformed and non-uniformed staff, have a secure pension they can rely on with peace of mind for their retirement. To ensure our pension fund is in strong financial shape, the BOC passed the 2018 budget with a 2.0% tax increase where every penny went to the pension fund. In the 2019 budge the tax increase was lowered to 1.25% with .75% for the pension fund and .5% for the new library. As a result of our addressing the pension fund we have ensured that our Upper Dublin staff retirees will have secure retirement. 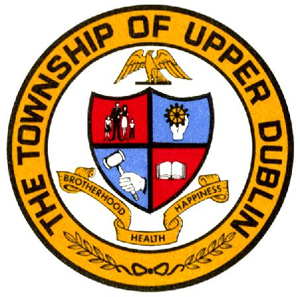 Since I have been Commissioner, Upper Dublin has lived within its means. Tax increases have been either 0% or directed to resolve an issue or prepare for the future. In 2017, the BOC passed a 0% tax increase, in 2017 the BOC passed a 2.0% tax increase – dedicated to the pension fund. IN 2019 the BOC passed a 1.25% tax increase with .75% going to the pension fund and .5% to fund the new Library. What this shows is that in the 2017-2019 budgets, Upper Dublin Township did not increase taxes to meet our obligations or to provide the first class services residents have come to expect. The tax increases were directed toward addressing a specific issue. For the last three years Upper Dublin Township has lived within its means and at the same time solved the pension fund issue and prepared for the new Library. The Upper Dublin Board of Commissioners formed the General Municipal Authority to obtain capital for improvements to the Ft. Washington Office Park (FWOP) including Zip and Slip ramps onto and off the Turnpike to improve the general economic development and marketing for the FWOP. This new Authority will have the power to assess businesses in the Ft. Washington Office. These assessment fess will be used for improvements to the Office Park, thus relieving residents the tax burden of expenditures in the Park. A revitalized Office Park will mean greater revenues and less tax burden on residents of Upper Dublin while still providing the top quality services for Upper Dublin residents. In the 1960s the Fort Washington Industrial Park (now Office Park) was the financial life-blood of Upper Dublin, keeping resident taxes down. Returning the Fort Washington Office Park to full vitality will return Upper Dublin to the business prominence it enjoyed while lifting the tax burden for Upper Dublin residents. To increase revenues to the township, the Upper Dublin Commissioners have made revitalizing the Fort Washington Office Park a high priority. To achieve these goals the Upper Dublin Board of Commissioners have invested heavily in upgrading the infrastructure of the Office Park. Some examples of this investment are: two flood retarding structures on the Pine Run and Rapp Run completed in December 2013, and the replacement of the three 60-year-old bridges on Virginia Drive has just been completed. New businesses that have moved into the FWOP as a result of this commitment include: Life Time Fitness, the corporate headquarters for Toll Brothers, Tru Mark Financial Credit Union, and Lincoln Investment Planning. Increasing revenues from businesses will mean less tax burden on residents. A revitalized Office Park will support local business during the day as workers enjoy lunches at one of our many restaurants, shopping at local stores, and services before and after work. The Board of Commissioners have been successful in acquiring funding through grants to improve the traffic conditions on Welsh Rd. PennDOT awarded a grant to Upper Dublin, Horsham and Abington to install fiber optic lines along Welsh Road from PA 309 to US 611 interconnecting all the signals, and installing traffic adaptive signal capabilities at the majority of Welsh Road intersections in Upper Dublin and Horsham. The overall cost of the project is $2.75 Million. There is a 20% local match requirement of $550k. Upper Dublin’s match of $235k will be funded by BET, who is building the Promenade. This is the largest grant to any community in PA outside of Philadelphia. Montgomery County has selected the Welsh Road Green Light Go project with an award for the $200k for Horsham, Abington, & UD of which approximately $86k goes to Upper Dublin. This additional $86k is available in case additional funds are required for the Welsh Rd. project or for other local match grant requirements. There will also be traffic signal upgrades on Fitzwatertown Road and North Hills Avenue. In another clean water initiative the Board of Commissioners supported cleaning up and maintaining the viability of the Wissahickon watershed. The Commissioners passed the “Resolution to Participate in Intermunicipal Collaboration with other Montgomery and Philadelphia County municipalities and wastewater treatment plant operators for the future development of an Alternative Plan to the EPA Total Maximum Daily Load (TMDL) for the Wissahickon Creek Watershed”. Lack of fair representation in Harrisburg or Washington D.C. is a threat to democracy. Gerrymandering breaks communities up into different political districts to ensure the election of one party over another. My colleagues and I passed the “Resolution In Support Of A Citizens Commission For Legislative And Congressional Redistricting” to create fair and balanced voting districts. Our community needs to be heard as one community. Upper Dublin Township was involved in a pilot study for using AVL (automatic vehicle locations) to send the nearest available emergency unit to a priority 1 call. That pilot study has resulted in the county committing to the same dispatch protocol. This approach will reduce response time by about 2 minutes from the average.